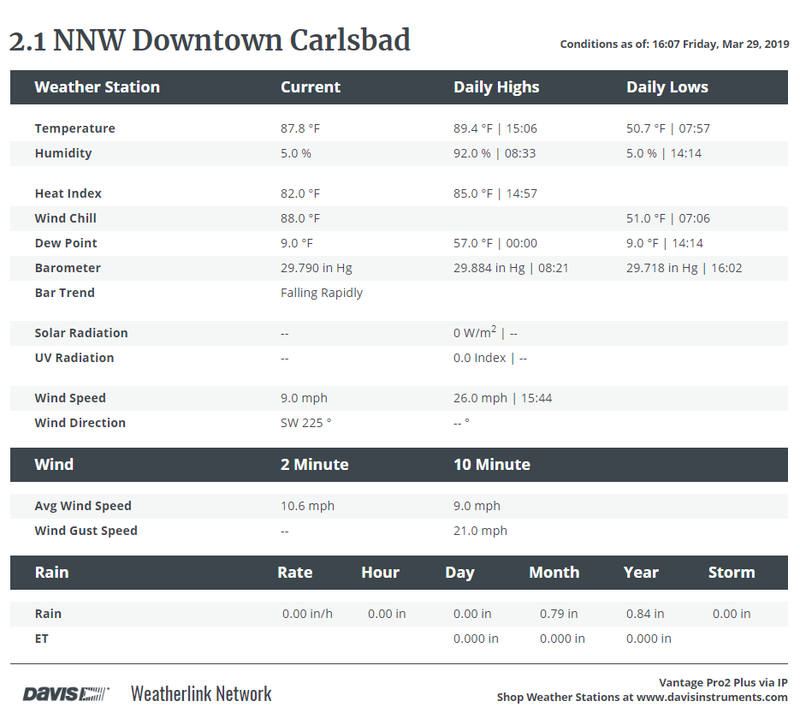 My Daily Weather Summary As Of 4:07 PM MDT. I almost made it up to 90ºF today...89.4ºF. At 3:45 PM MDT Friday, March 29th, 2019. 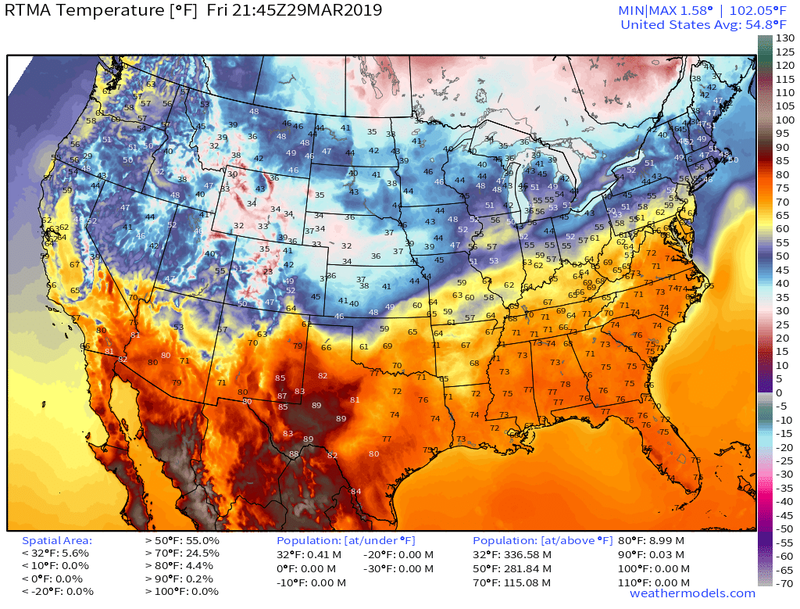 Valid At 6 AM MDT Saturday, March 30th, 2019. 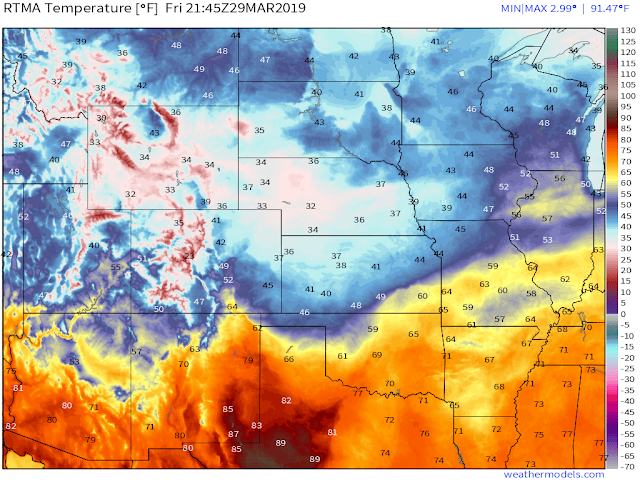 As of 4 PM MDT this Friday afternoon a cold front was oozing into the northern Texas Panhandle. 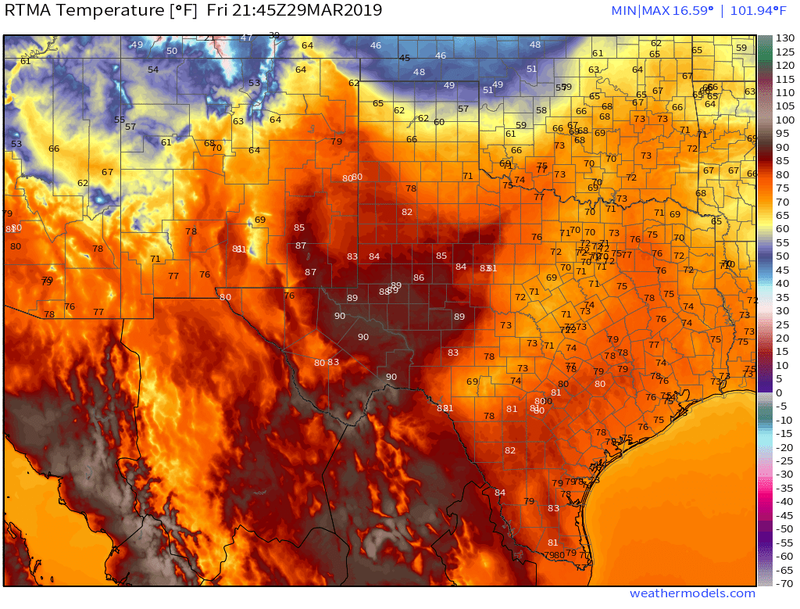 Regional temperatures at 4 PM ranged from the mid to upper 80's across Southeastern New Mexico and parts of West Texas ahead of the cold front to the upper 30's to the mid 40's behind the front in the Oklahoma Panhandle, southeastern Colorado, and southwestern Kansas. That colder air mass will arrive here locally by around sunrise Saturday morning. 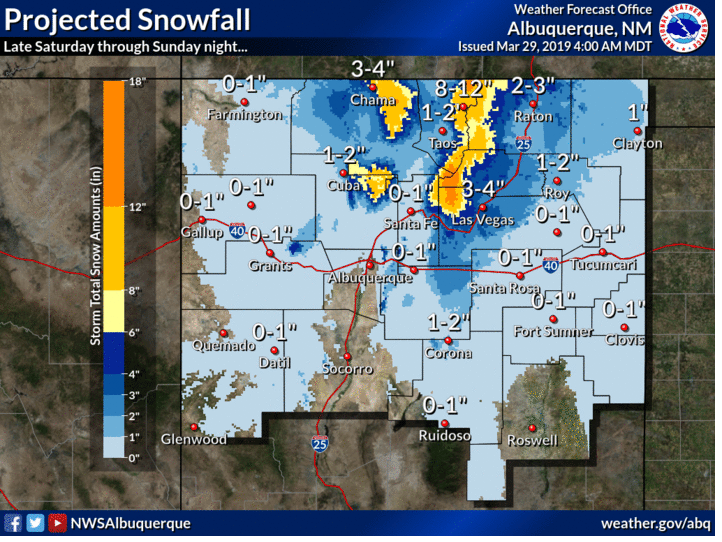 An upper level storm is forecast to move southeastward from the Four Corners across the state Sunday into Sunday night. Light snow is forecast to fall across the Sacramento Mountains where and inch or so of snow may accumulate. 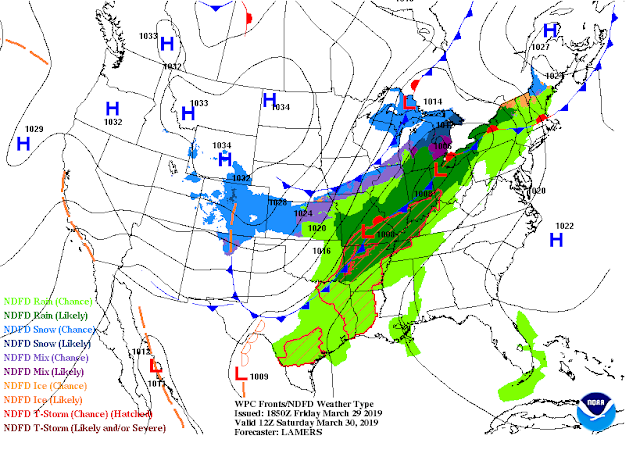 Light rain may also change over to light snow Sunday night across parts of the Southeastern Plains. At this time no significant accumulations are expected. 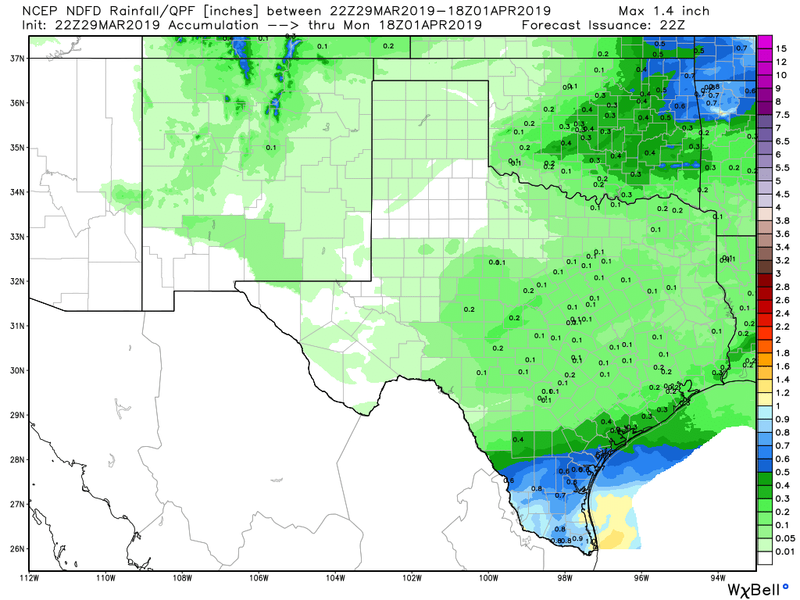 Storm Total Rainfall Forecast Totals. Valid Tonight Through Monday At Noon MDT. This quick moving storm is currently forecast to only produce light rainfall totals locally with most totals remaining below a tenth of an inch. 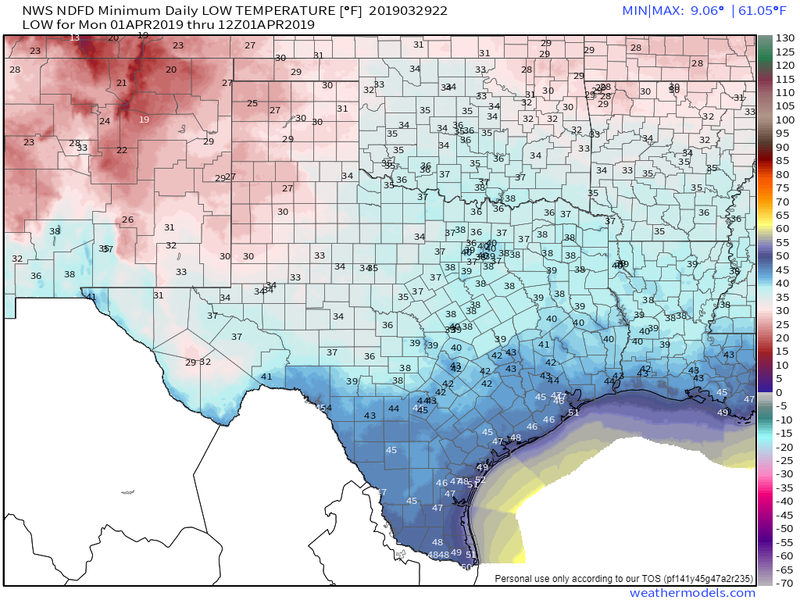 Turning Colder - A Freeze Sunday Night. 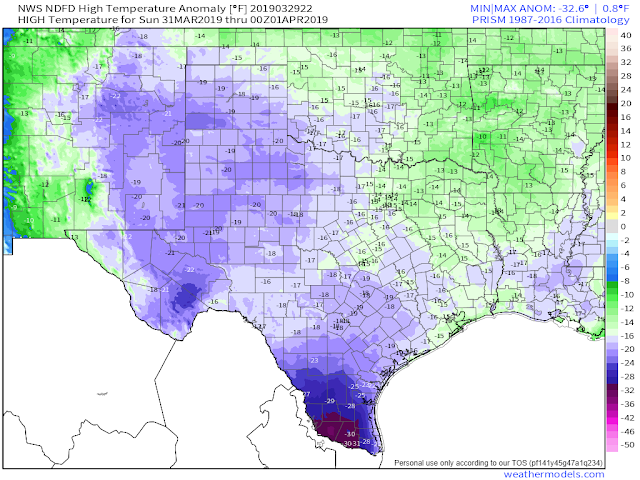 NWS NDFD Forecast High Temperatures & Departure From Normal. 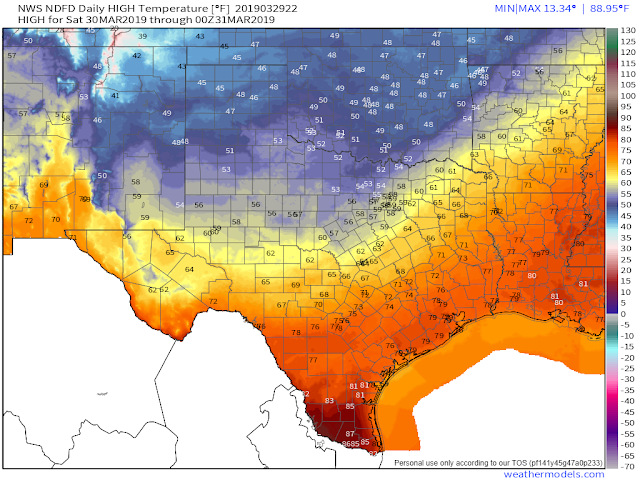 Depending upon upon how fast the cold front moves southward late tonight into Saturday morning will help to determine how much colder Saturday's daytime highs will be compared to today's readings. 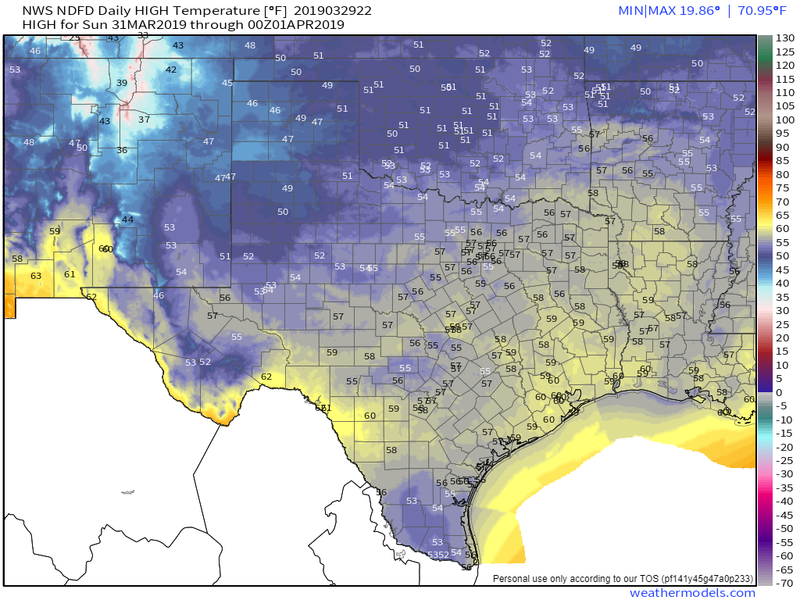 For now expect our highs tomorrow to range from the mid to upper 40's in the Clovis and Portales areas and northern Lea County to near 60 in the Carlsbad area. These readings will be some 15 to 20-degrees below normal to date. Sunday's highs will be a little colder than Saturdays readings with highs ranging from the mid 40's to the mid 50's. These readings could even turn out to be a little lower if cloud cover devolves early enough which will be some 20-degrees below normal to date. Another Freeze By Monday Morning. 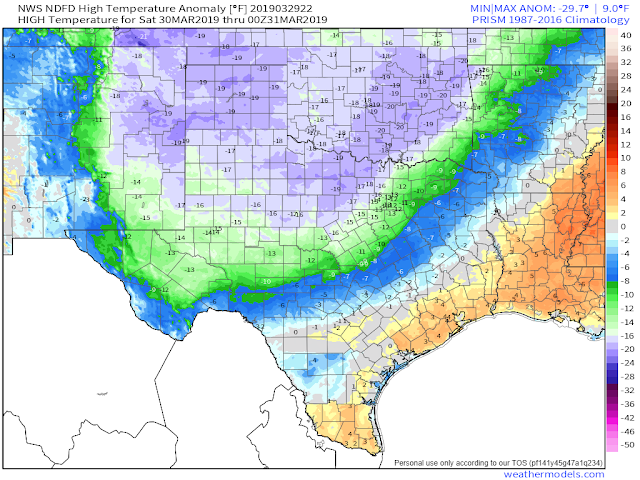 By sunrise Monday Monday morning a freeze will have settled in across the area. 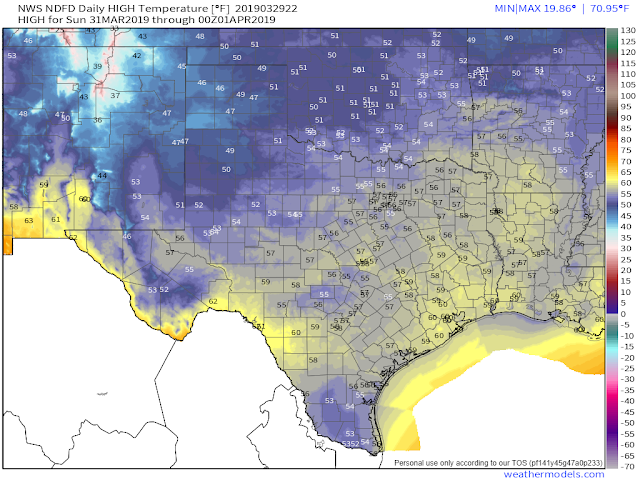 Should the skies clear early Sunday night the forecast low temps above may be even a little colder.